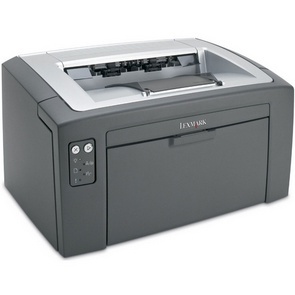 The Lexmark E120 laser printer has the affordable price that small office users need, but still delivers the fast speeds and great reliability of larger and more expensive machines. The result is a compact machine that can handle a fairly heavy workload at a price that is surprisingly low, and toner cartridge costs are kept low by affordable Lexmark E120 toner. The unit measures 9.8 inches by 15.3 inches by 14.6 inches, which makes it ideal for tight office spaces, and its lightweight 15.2 pound frame is easy to move around. Input paper capacity is 150 pages, with a 15-sheet priority feeder to add extra flexibility for alternate media types. The output tray can hold 50 sheets. It is possible to print on a wide variety of media, including transparencies, envelopes, card stock, labels and plain paper. The device connects via USB 2.0, and the E120N model also includes an ethernet port, making it easy to connect and share the machine among multiple networked users. Optional upgrades are available for adding wireless and gigabit ethernet support as well. Multiple operating systems are supported including modern versions of Windows, Mac and even Citrix. Print speeds are fast at up to 20 pages per minute and a first page out time of around 8 seconds. The print resolution is 600 dpi with an enhanced 1200 dpi resolution for sharper prints. 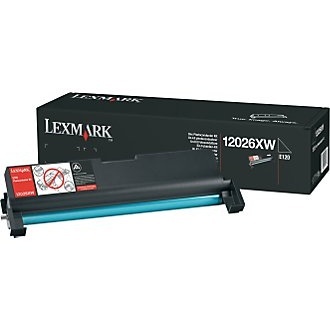 Inexpensive Lexmark E120 toner cartridges keep the cost of replacing toners very low. 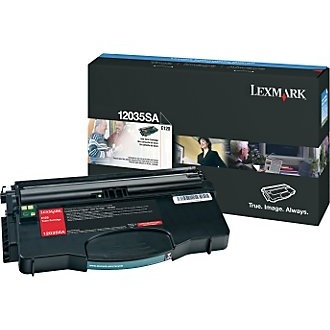 For the lowest price, buyers can choose third-party compatible Lexmark E120 toner, and the large capacity of Lexmark E120 toner cartridges provides a low cost per page that will reduce expenses in any office. For the small office with a limited budget, the Lexmark E120 provides more functionality and upgrade options than expected. Its fast speeds and great print quality make it a great value.